Eugreen Health Center’s newest location is here to bring you the highest quality of cannabis at the lowest prices! Now carrying a wide selection of shatter, cartridges, edibles, topicals, and premium flowers. Join #TeamEugreen today! 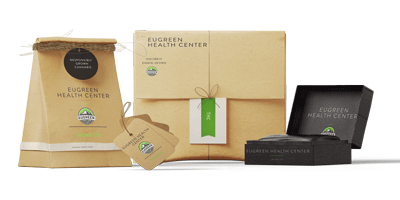 Eugreen Health Center is a locally owned and operated dispensary that is truly committed to our patients and customers providing the highest quality, lowest cost cannabis in the Eugene area. We cater to medical and recreational users, and offer a wide selection of items. Featuring over 25+ strains of flower, concentrates, edibles, pre-rolls, tinctures, topicals, vape pens. Come check out our strains from the amazingly talented growers we work with. Whether you’re a cannasseur or just the occasional midnight toker we’re sure to have something that fits your taste and budget. We take satisfaction in providing the best marijuana products and service to our community. We want to make sure that each and every patient who comes into Eugreen dispensary leaves with a smile on their face. We love cannabis almost as much as we love Eugene. Which is why our goal is simple; making you happy! Thanks to our extensive knowledge of the marijuana industry and the many beneficial properties of the cannabis plant we strive to provide you with the best marijuana experience possible.